Length 22' - Beam 5' 8" - Draft 5"
Ruggedly built, low resistance hull shape which means it takes very little horsepower to move her. Smaller engines equal lower fuel costs. 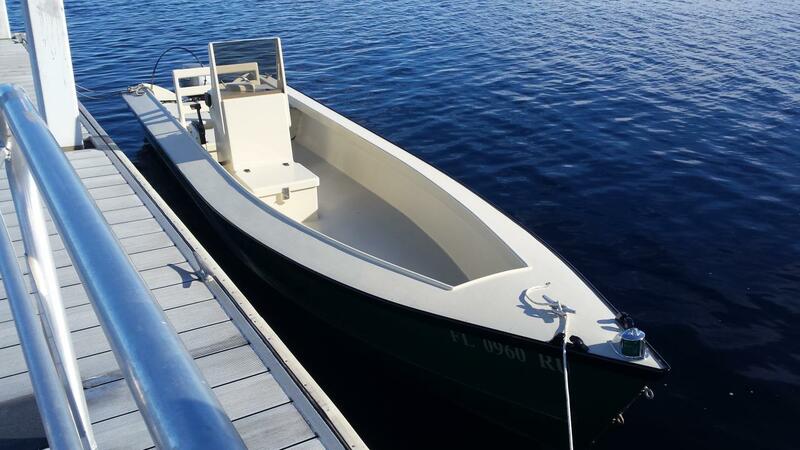 The entire boat is sealed with epoxy and painted with Awlgrip. Self-draining deck with non-skid and ample, lockable storage. The helm seat has an easily removable back rest for those who like to stand up on the seats or lockers for fishing. It is comfortable to drive this boat from a sitting or standing position. 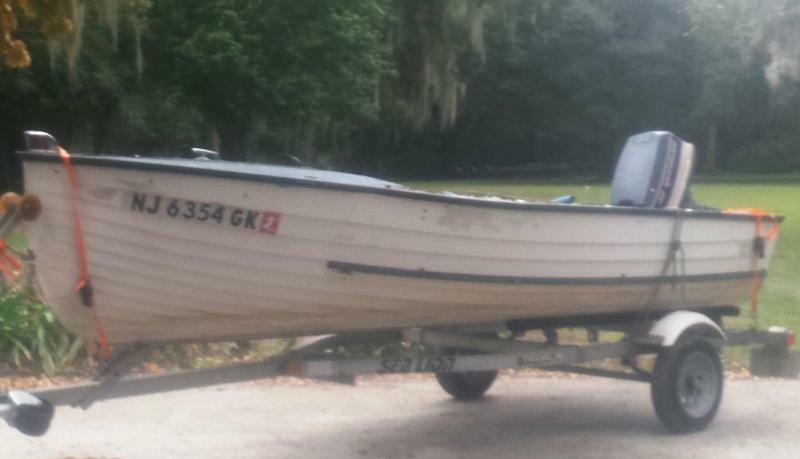 Also included is a 2008 single axle galvanized trailer well fit to this boat. It is easy for one person to launch/retieve. Boat also comes with 2 ea. 6 gal. portable gas tanks, automatic bilge pump, Nav. Lights, 12-volt battery, two life jackets, two dock lines, and boat and engine cover. Sea trials done with 1994-25hp two stroke Mariner with electric start and pushes her along at 24mph. Asking $19,000 with above motor. Will sell for $18,000 without the motor. Look past sailboat for sale to see additional photos. 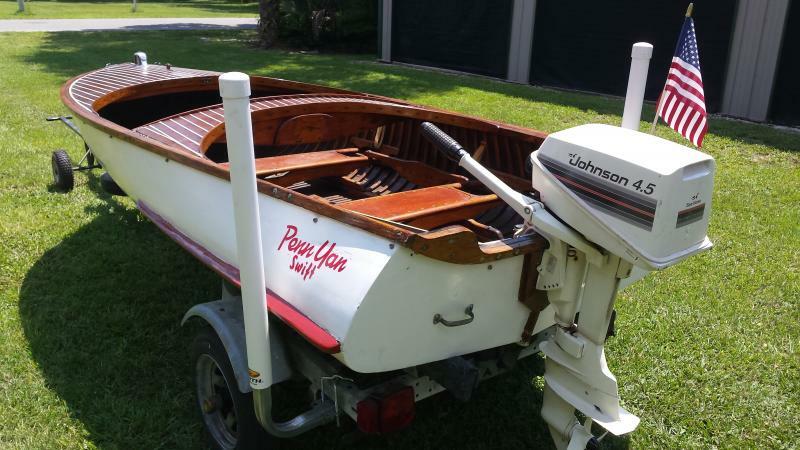 1958 Penn Yan Swift 12' and a 1982 Johnson Seahorse Outboard - 4.5 hp. Starts easily and runs smooth and quiet. Venture Trailer. Fitted cover. Perfect boat to introduce your kids to Classic boating. Call Skip for details. 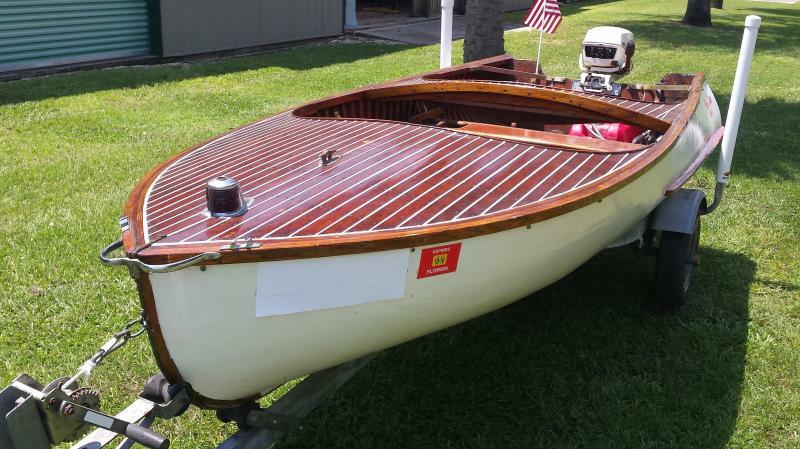 Fully restored 1928 37' x U. S. C. G. Utility ready for cruising in style. Look in Wood Boat Restoration for pictures of the work being done. 1959 14’ MFG w/ 1975 Evinrude 40 hp outboard w/ controls and cables, galvanized trailer in excellent condition. 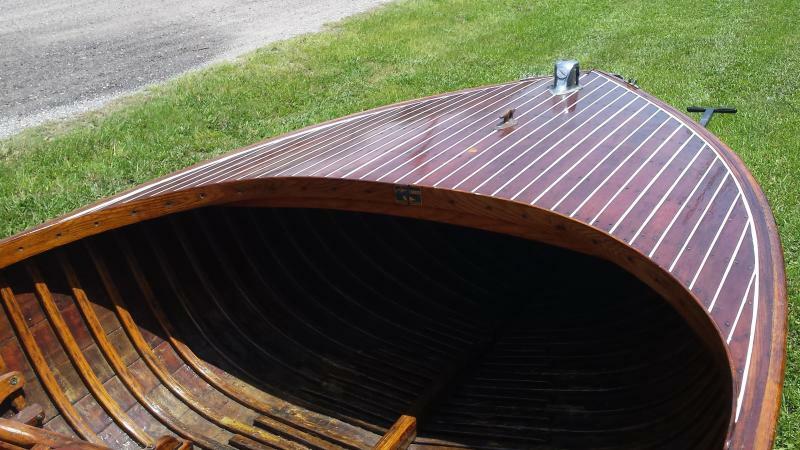 MFG was one of the first companies to build solid fiberglass boat hulls/ They used a wooden Lyman as a plug to build this hull which shows wood grain. The frames are solid fiberglass. This is an excellent candidate for restoration. All of the wood needs to be replaced or refinished. The engine turns over freely. When finished, this will look just like a wooden Lyman but with a strong, dry, fiberglass hull. 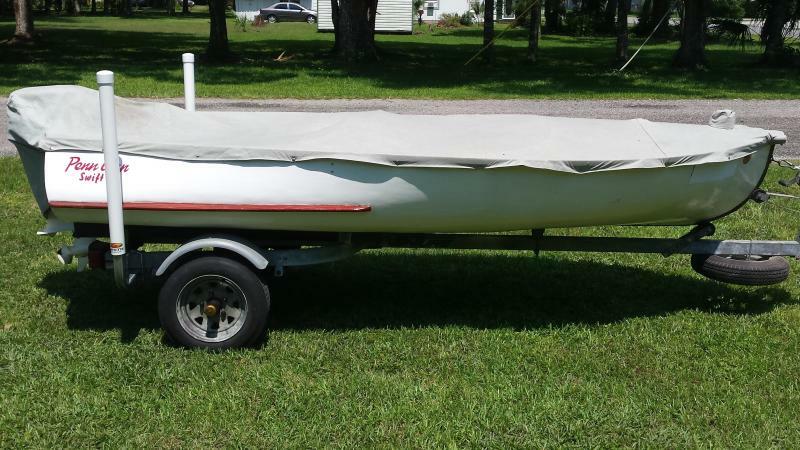 22' 1981/2017 Atkin Designed, Utility Skiff with Dual Steering Stations and windshield. New 2017 Suzuki 25hp Power Trim/Tilt Motor. 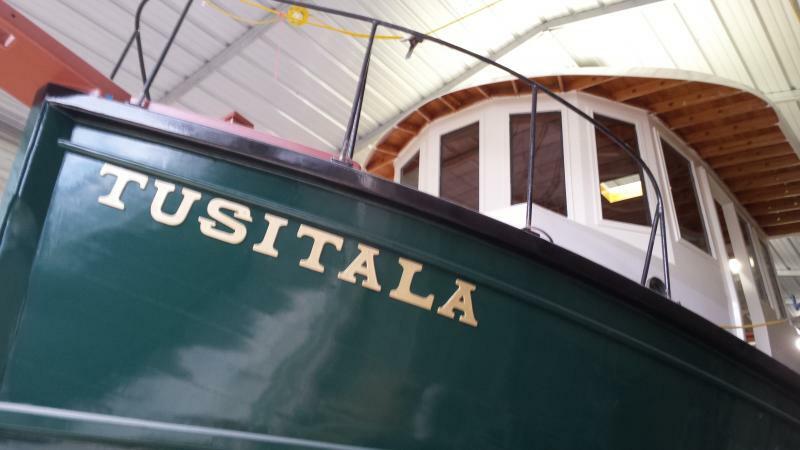 See Wood Boat Restoration for more pictures of the work done by Joest Boats.